Facilis HUB Shared Storage is an industry-leading collaborative system dedicated to post-production video editing and content creation workflows. The Facilis Shared File System included with every HUB server easily accommodates the most complex multi-platform environments and enables collaboration among diverse applications and image formats. 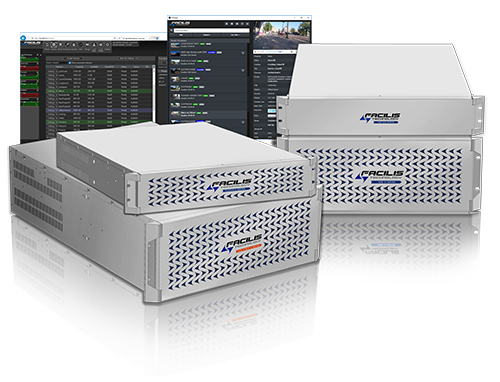 With Facilis HUB, deliver 4K film color grading to low-bitrate craft editorial in a scaled environment. Facilis HUB provides the performance to get the job done. Look through our video storage servers and all of the features they offer. TerraBlock video servers for post-production editing are available as legacy units through 2019 for any customer who wants to maintain like-servers in their environment. All TerraBlock units offer legendary performance and reliability and are guaranteed to be supported through available support and warranty extensions for five years with new software releases and hardware warranty.